Lahore – beauty in the heart of Pakistan? by Shahid Khan : Lahore is Pakistan’s second largest city with population of approximately 9 million people. It is also known as the “heart of Pakistan”. This ancient city has a rich historical, religious, social and political background which makes it stand out more than any other city in Pakistan. In Pakistan it is popularly said of Lahore that “One who has not visited Lahore is yet to be born.” It is true as being the political, commercial, cultural and educational hub of the province Punjab the city has so much to offer to a visitor. Lahore is also the capital city of the Punjab province which is the biggest province in Pakistan in terms of population. It is one of the most densely populated cities in the world and the 8th largest city within the Organization of Islamic cooperation. In 2010 a British Newspaper, The Guardian, ranked it as the 2nd best tourist destination in Pakistan. It is 32km west of Amritsar of India which makes it very close to the eastern border with India. Lahore is one of the oldest cities in Pakistan. The oldest authentic surviving document about Lahore was written anonymously in 982AD. It is called Hudud-i-Alam (The Regions of the world). In 1927 it was translated into English by Vladimir Fedorovich Minorsky and published in Lahore. In this document Lahore is mentioned as a city with “Impressive temples, large markets and huge orchards”. The original document is currently held in the British Museum. It is unclear as to when the city was founded as some historians trace the history of the city as far back as 4000 years ago. Ancient Lahore has been the seat for many monarchs, rulers, powers, and authorities from empires of Shai Kingdom in the 11th century to the Ghaznavids in the 12th century, the Ghurid state in the 12th and the13th century, the Mughal Empire in the 16th century, and the Sikh expansion in the early 19th century until the British rule in the mid 19th and the 20th century. Modern Lahore has imprints of various empirical civilizations through the centuries that once dwelt and became victorious and renowned in the world. The emperors had built up walls and gates around the city to escape from any external attack on the city. The city is loaded with historical buildings, Mughal structures such as Badshahi mosque, The Lahore Fort, the Shalimar Garden and the Tomb of Jehangir and Nur Jehan are some to name. British colonial structure adds another glory to the city such as Lahore High Court, General Post Office, Lahore Museum, and the University of Punjab. The Lahore Zoo is thought to be the fourth oldest in the world. Lahore is home to some prestigious educational institutions and some of them are among the best in the country. 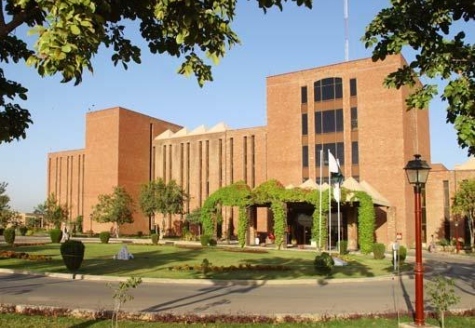 The National College of Arts, the Forman Christian College, The Lahore University of Management Sciences, The Government College Lahore, The University of Punjab, the University College Lahore, Jesus of Convent and Mary School, The Cathedral Schools run by the Church of Pakistan, St. Anthony’s School, a Catholic mission institution, The Beacon House School System and The City School, The American National School are among the popular education institutions in Lahore. In sharp contrast to the value the UK government and other European and first world countries place on education in terms of allocating funds for promoting education and creating educational resources, Pakistan only spends less than 2 per cent of its Gross Domestic Product on education. Unlike most of the western countries where acquisition of education until high school is free and mandatory, and will result in sanction for the parents if they did not send their children to schools, millions of parents in Pakistan struggle to put two time food on table, let alone being able to send their children to schools. In view of Pakistan government’s trivial spending on education and the presence of poor quality education provided in the state-run schools the private institutions across the country including Lahore are the only institutions who provide quality education. It is unfortunate however that the students from the poorer backgrounds can’t even imagine studying at the private institutions because of the hefty fees these education providers charge. The situation has given rise to a three-tier education system in Pakistan, State-run schools where only the poorest children attend, Private English Medium Schools such as Lahore Grammar School, Beacon House School System, Lahore American National School, The City School etc., where the children of the upper classes attend and thirdly Madressahs, the seminaries where the religious poor go. The content of the text books being taught in Pakistani educational institutions, private or state-run, clearly suggests the pattern of Islamization of education. ‘Masjid’ (Mosque). Children have to learn these answers by rote whatever their religion might be. It is apparent that the teaching in Pakistan does not take into account the religious diversity and thus hurt the feelings of members of religious minorities’ communities namely Christians, Hindus, Sikhs, Parsis and Bhai’s etc. Islamic chauvinism has infiltrated even secular subjects such as Geography and History. In Geography the question is asked ‘Who lives in Pakistan’? The taught answer is ‘Muslims’. The answer to the History question, ‘Who founded Pakistan’ is again ‘Muslims’ It is not a valid answer because it is a negation of the independence struggle Hindus and Christians waged alongside Muslims. Cricket is the most popular sport in Pakistan and Lahore being the provincial capital of Punjab has scores of Cricket Clubs including Gymkhana Lahore. Again because of the huge socio-economic discrepancies in Pakistani society only the rich can afford going to these Cricket clubs while the poor play cricket with tennis ball on the streets of Lahore as there aren’t adequate play grounds where the disadvantaged children could go to play. Lahore is home to magnificently built Gaddafi stadium. It is the largest stadium in Pakistan with a capacity of 60,000 spectators. The city also has a Golf Course and Country Club beside having National Hockey Stadium and other sports venues. The food of Lahore is best known in Pakistan. There are a lot of expensive and inexpensive place to eat the typical Lahorite, Chinese and fast food. 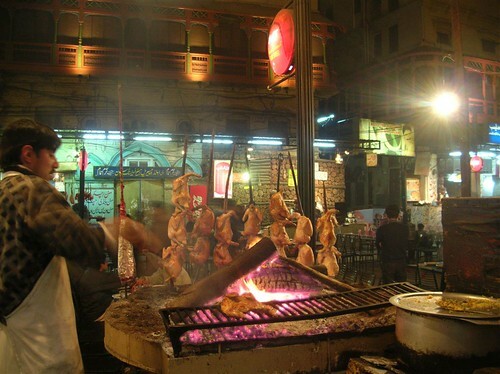 The Food Street in Gawalmandi area is a popular food spot. The street itself is worth seeing. Old Lahore’s architecture is restored around that street. Lahore is also home to Western food outlets such as McDonalds, KFC, Subways, Pizza Hut. The city’s most prestigious hotel is Pearl Continental Hotel. People of Lahore love going to cinemas. The number of cinema goers in Pakistan has witnessed a remarkable increase since Pakistani cinemas started playing Indian movies. Theatre in Lahore is still popular with the people of Lahore but the number of people going to theatre with their families has decreased after the theatre actors came under criticism for resorting to black humour. Pakistan Muslim League (Nawaz) is the most popular party in Lahore. Pakistan Peoples Party is the second most popular party in the city. Some political experts believe that rising popularity of cricketer-turned politician’s party Tehreek-e-Insaf (Movement of Justice) is likely to attract young people’s votes, which may affect PML-N’s vote bank in Punjab. Christianity is the largest religious minority in Pakistan. Although accurate up-to-date figures are not available, the present Christian community of Pakistan probably numbers about three million. Protestants form the majority, and were divided into many denominations until the formation of the Church of Pakistan in 1970 merged some of these denominations together. Catholics outnumber any single Protestant denomination. The district with the largest number of Christians is Lahore, which has a Christian community of about 190,000 (5.4 % of the district’s population). Of Punjab Christians as a whole, 38 % live in the urban areas. Compared with the population of the country as a whole the Christians are more deprived and improvised. It is hard to be a Christian in Pakistan because of the deeply entrenched notion of supremacy of Islam in the psyche of Muslims in Pakistan, the installation of semi-literate Muslim clerics in mosques, the anti-western provocative sermons of the Muslim clerics, growing religious intolerance, continuous abuse of Pakistan blasphemy laws under which an accused is punishable by life imprisonment or death, if convicted. Prince Charles and Camilla’s visit to Pakistan in 2006 during which he called for interfaith harmony while visiting a mosque, a Sikh Gurdawara and the Anglican Cathedral Church of the Resurrection was appreciated by inter-faith concerns in Pakistan as well as by advocates of interfaith harmony across the world. In view of non acceptance of religious minorities by majority Muslims in Pakistan it is imperative that government of Pakistan and the international community encourages inter-faith initiatives in Pakistan. This entry was posted in Articles, Asia, Pakistan and tagged Christian, Travel. Bookmark the permalink.